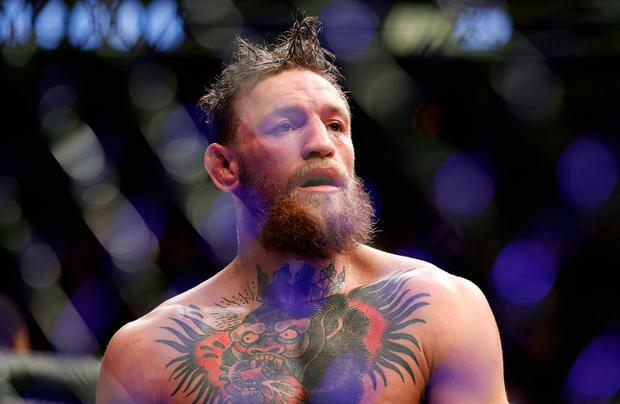 What next for Conor McGregor? For starters, one defeat does not a career end. Saturday night's loss to Khabib Nurmagomedov was his fourth career defeat, but this one will hurt more than the other three combined. Early career losses against Artemij Sitenkov (2008) and Joseph Duffy (2010) would almost certainly be avenged if rematches were scheduled today. His next reversal, against Nate Diaz in 2016, was filled with extenuating circumstances, like McGregor's decision to agree to a change of opponent and weight category less than two weeks before the event. With the benefit of a solid training camp behind him, he avenged that defeat six months later. However, so dominant was Nurmagomedov that it's difficult to imagine anything other than the same outcome in a rematch. Even McGregor's greatest weapon - his powerful left fist - was outshone by Nurmagomedov's crushing right hook in the second round. The Irish fighter's pride will be damaged and he will be keen to avenge this defeat. Yesterday morning he made it clear that he wants another shot at Khabib, tweeting: "Good knock. Looking forward to the rematch." However, the job rests with his coach, John Kavanagh, to make McGregor see sense, or just do whatever it takes to keep him away from the Russian. Defeat doesn't spell the end for McGregor. He will still remain the UFC's biggest pay-per-view attraction for the foreseeable future. A trilogy match against Diaz is a contest that many fans would love to see, and one that McGregor can win. There is also the option of dropping back down to the featherweight division, where he would stand a better chance of becoming a champion again. However, McGregor admits that the weight-cut involved in the preparation for a lightweight fight is extremely punishing, so the prospect of stepping down to a division where he will need to be 10lbs lighter is unlikely. The Crumlin native earned €75m for his foray into boxing against Floyd Mayweather last year and, depending on pay-per-view figures, he will pocket between €15m and €20m from Saturday night's event. He took an awful lot of punishment against Nurmagomedov and, with more than €100m in the bank, he should be in no rush back to the octagon. Nurmagomedov is clearly a special talent. Any doubts about his capabilities have been well and truly dismissed by this victory that stretches his unblemished record to 27-0. It's difficult to imagine any fighter troubling him inside the octagon in the near future. McGregor may be too proud to realise that he should give Nurmagomedov a wide berth, which is why his coach must make sure it never happens again. The Irishman remains a great fighter who displayed admirable courage under pressure on Saturday night, but Nurmagomedov is something of a freak who operates on a different planet - with a population of one. There are plenty of 'money fights' out there for McGregor. Fights that he can win. When he's in the right frame of mind to return, he should pursue that trilogy showdown with Diaz.